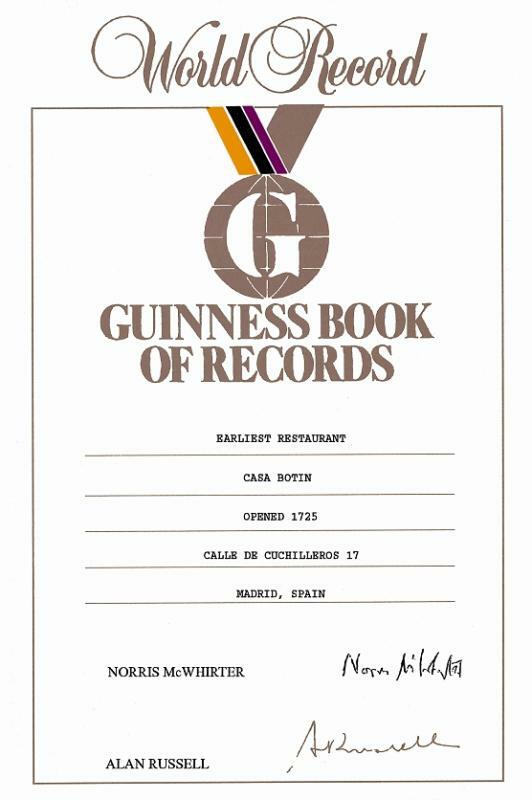 Botín is the oldest restaurant in the world according to the Guinness Book of Records. 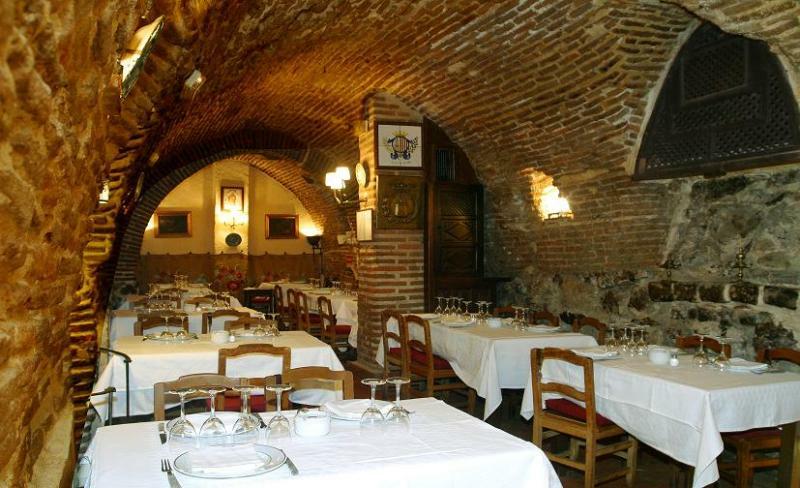 Located in the heart of Madrid, at the foot of the Arco de Cuchilleros and next to the Plaza Mayor, it was founded in 1725 and was a meeting place for Madrid's bohemian and literary set. Botín offers Madrid-style hospitality in a convivial and friendly setting, with traditional decor. The restaurant prides itself on using the finest ingredients accredited by the respective quality marks in order to offer guests traditional recipes that have been passed down from father to son over the years, cooked in a natural and artisan way. 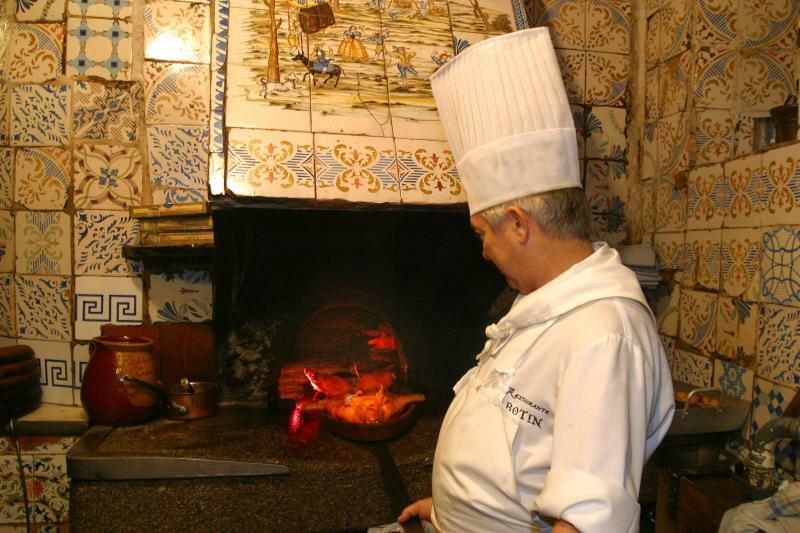 Its specialities include roast suckling pig and lamb cooked in traditional Castilian style in a wood-fired oven that has been in use since 1725. 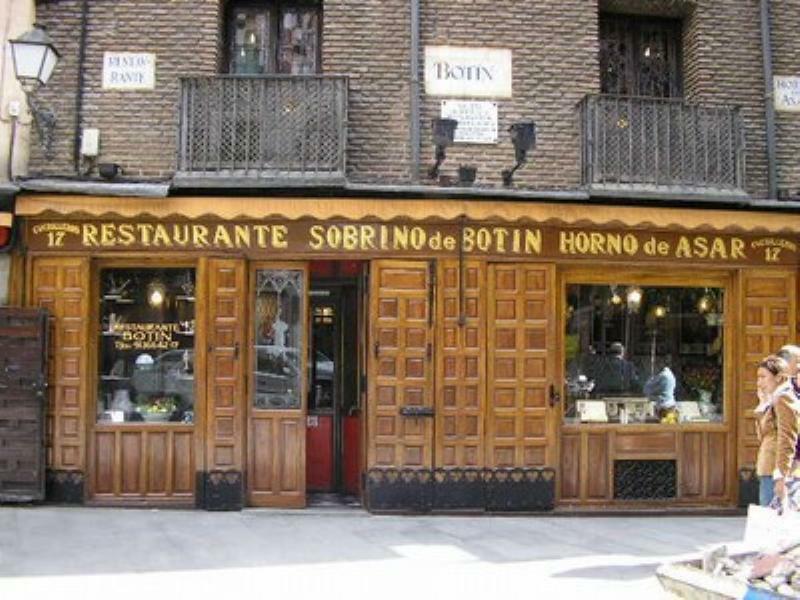 Botín treats all its diners the same - whether politician, famous artist or its neighbourhood regulars.